In this article, we provide you with 3 simple methods to recover deleted photos in Windows computer. Among them, Recoverit Data Recovery must be the most convenient one. Taking photos has become the most common way for people to keep memories for happy time like birthday, family time, wedding, babies' growth, and more. It's very convenient to save lots of photos in one place on your computer. Well, it's also pretty easy to lose them by mistaken deletion, computer hard drive formatted, system crashed or other reasons. When this happens to you, what should you do to rescue the data back on your Windows computer? You should get a deleted photos recovery program to help you get all photos back. Next, we'll discuss how can you recover deleted photos in Windows 7/8/10 with detailed steps. Recover deleted photos in Windows 7/8/10 effectively, safely and completely. Recover lost photos due to accidental deletion, formatted, lost partition, virus attacked and system crashed. Recover deleted or lost photos from computer hard drive, memory card, SD card, dIgital camera and other storage media. Recoverit deleted photos recovery software offers both video tutorial and text guide on how to undelete pictures. Read a little further and get the simple solutions. Spending one minute watching the short video, you'll easily grasp the steps on getting deleted photos in Windows. 2. Text Guide: How Do You Retrieve Deleted Photos? 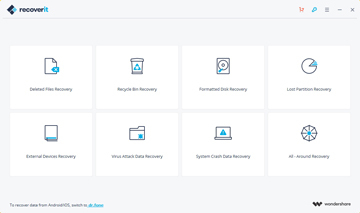 Get Recoverit Data Recovery downloaded and installed on your computer. It takes you simple steps to recover photos that are permanently or recently deleted from Windows computer. In fact, the deleted photos recovery software is also able to work well on a Mac computer. The steps are similar. Mac users can download Recoverit for Mac and check out the guide: How to Recover Deleted Photos on Mac. 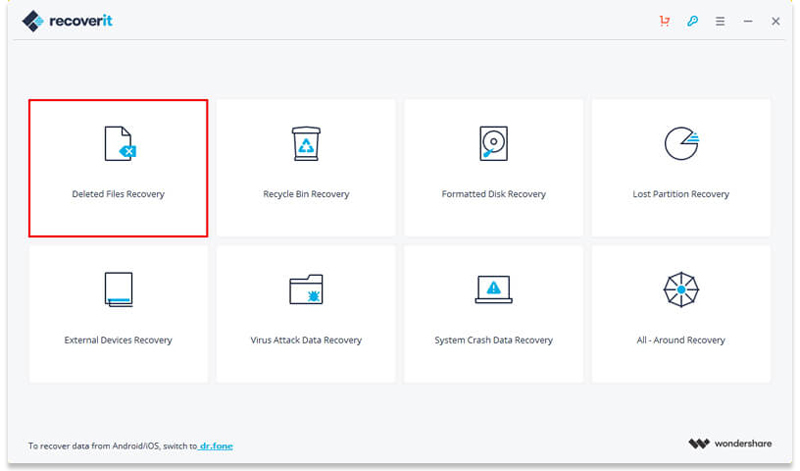 To recover deleted photos from computer, you can go to select "Deleted Files Recovery" data recovery mode to get started. You will need to select a location where your deleted photos were stored before. Select one and click "Start" button to process. 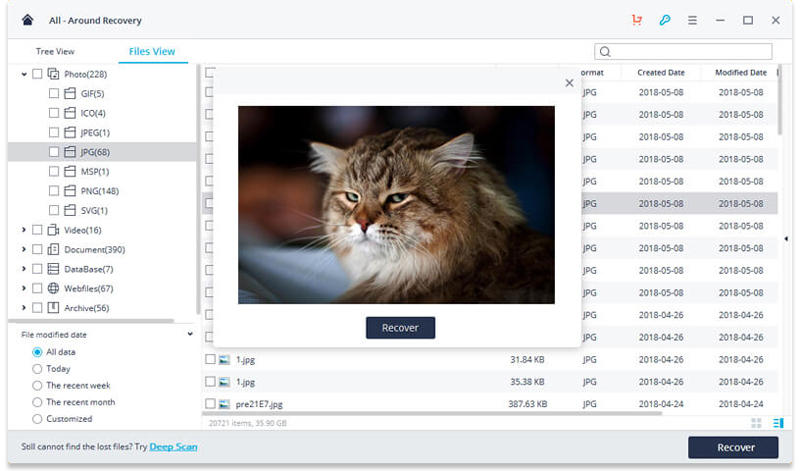 Recoverit Photo Recovery Program will start scanning your computer hard disk drive. The first scan will finish quickly. You can check some recovered files after the first scan. If you cannot find your photos, you can go to scan again with "All-around Recovery" option. With "All-around Recovery" mode, it can help you deeply scan your computer hard drive and search more files. It will take a longer time to completed the process of scanning. After the scan, you can check all recovered data on the result. 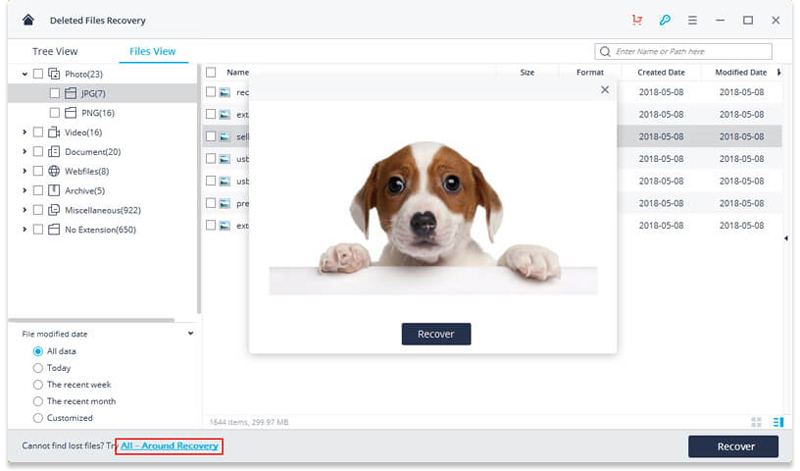 Go to preview your recovered photos and click "Recover" button to save your data back. You can check all your recovered photos on your computer. But remember that, you should save all recovered photos on a safe device it will be avoid data loss again or data overwritten. It is quite easy to retrieve your deleted photos back with Recoverit easy data recovery oftware. It won't damage your computer system and it keep your privacy safe. You can get download this photo recovery software and try it for free. 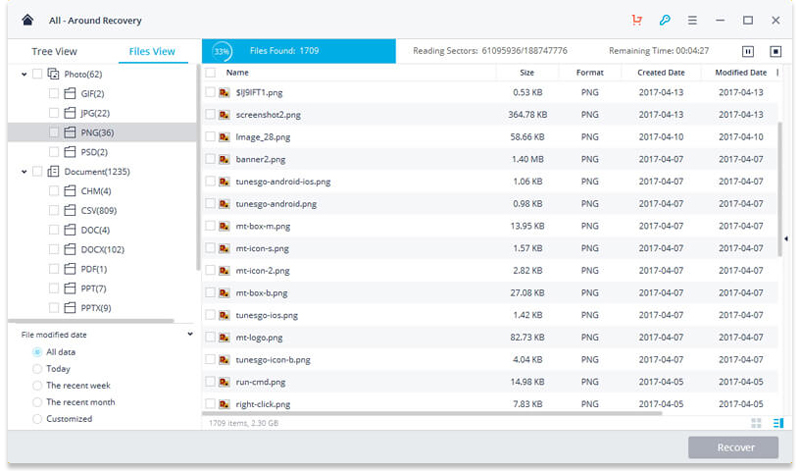 A piece of deleted pics recovery software can make everything simplified and securer. But it does not mean it is the only method to recover deleted photos and videos. In this section, you can get another two ways. But please note that, oftentimes, they seem not to be successful in getting all deleted photos, especially for ones that are permanently deleted from your Windows computer. When you accidentally deletd pictures, the first question coming to you can be "Where Are My Deleted Photos?". Generally speaking, the recently deleted photos go to Recycle Bin which stores all your deleted data, including photos, Office files, audios, videos, texts and so forth. Well, the deletd images have been located. You might think that undeleting pictures must be surefire, as you have got the powerful deleted pics recovery feature in Windows computer. The bad news that if you deleted images by clicking "Shift + Del" or have emptied Recycle Bin, the feature will let you down. Of course, for the deleted photos by simply clicking DELETE, Recycel Bin works. Now, let's have a look at the steps on how to restore deleted pics from Recycle Bin. Also, a few simple tips will be introduced here. Double click the Recycle Bin icon to open the inbuilt program. Select the one or several deleted images you want to recover. Right click and choose "Restore" to undelete the pictures. Knowing a few simple tips can help you do deleted images recovery more easily and quickly. Some of them are shown below. If you remember the name of deleted photos, search Recycle Bin to locate them more quickly. If you only want a specific item type, like JPEG File or JPG File, make a selection. You are allowed to restore all items once or just restore selected images. You can get more options from Recycle Bin Properties, for example, "Don't move files to the Recycle Bin". That's all about how to access deleted photos from Recycle Bin. Simple it is, isn't it? So it can the premier method when you ask "How Do I Recover Deleted Photos". But it is not always the truth. As said above, there are several situations where the deleted pics can't be recovered through the Recycle Bin. The option of "Don't move files to the Recycle Bin" is applied. The images are deleted permanently by clicking "Shift + Del". The option of "Empty Recycle Bin" is selcted. The deleted photos are removed from the Recycle Bin. In the situations, Recycle Bin fails to help you restore data. To do the job, turn to Recoverit Data Recovery, that is a reliable Windows images recovery program for all sorts of data loss scenarios. Or you can also move on to the next method - recovering deleted photos from the previous versions. Windows computer can back up the files, which called Previous Versions. 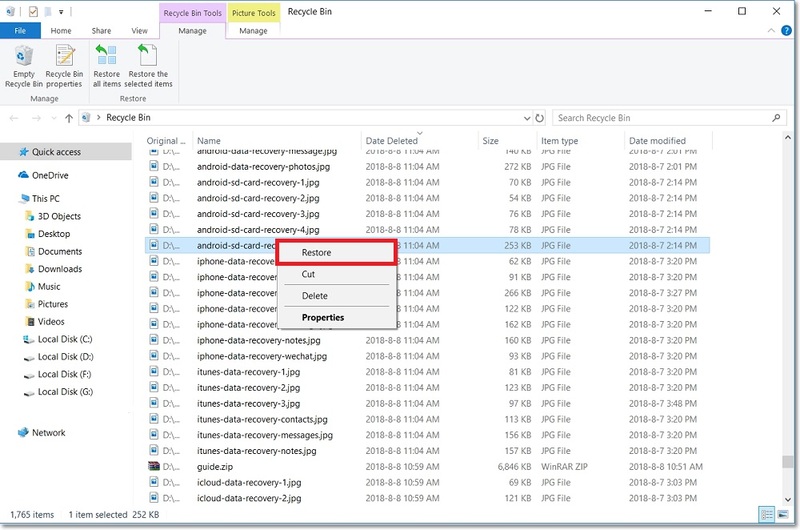 You can use the feature to recover deleted files or folders. The major limitation of the function is that it only copies the files during a system checkpoint or snapshot. Besides, if the disk space is insufficient, the copies can be removed and the restore points are deleted. Navigate to the file location where the deleted photos were stored before. Right click the folder and select "Restore previous versions". In the pop-up window, the previous versions can be usually found. If you find "Restore previous versions" nowhere, take the below steps to get it. Steps on Getting "Restore previous versions"
Hold on the Windows key and R together and type "control panel". Click "OK" to open Control Panel and go to "System" > "System Protection". 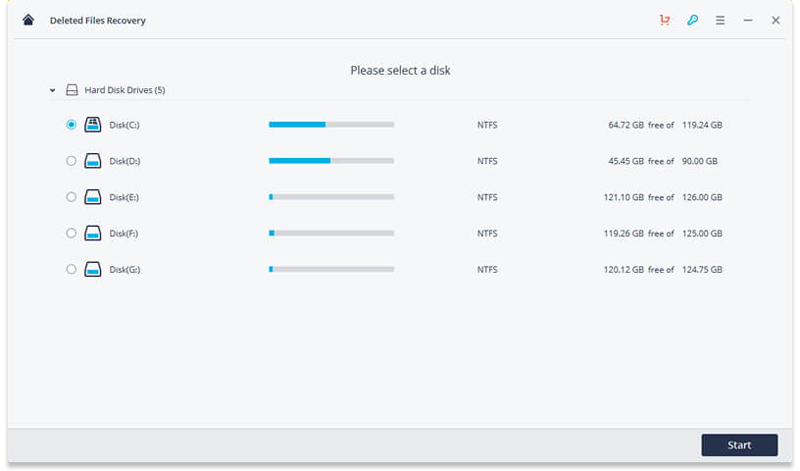 Select a hard drive and configure the restore settings. Choose "Restore system settings and previous versions of files" and click "OK". 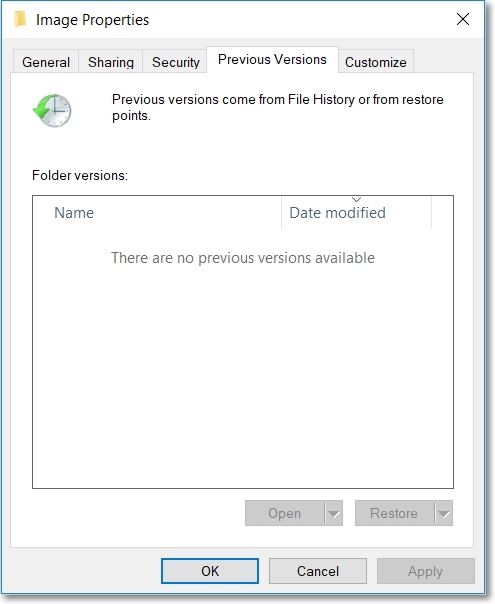 Now, the opition of "Restore previous versions" displays when you right click a folder. You can start recovering deleted photos from previous versions. 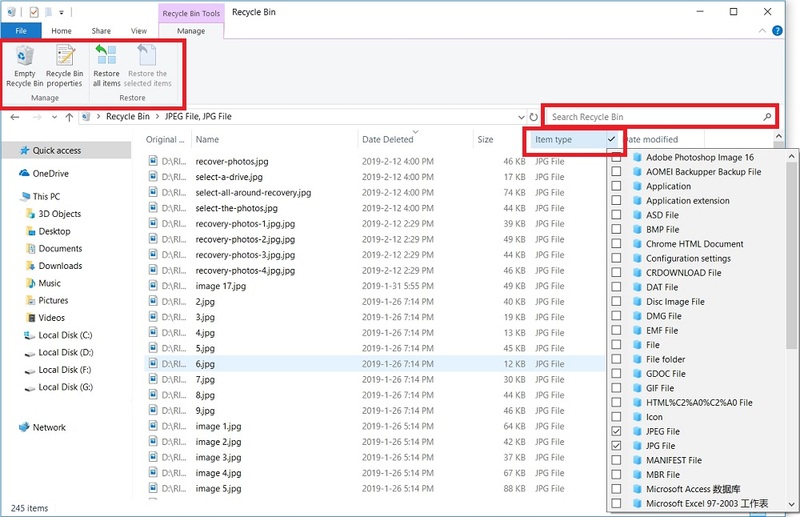 The method can help you find deleted photos in Windows computer without any software. However, oftentimes, it does not work due to 3 major limitations of the method, which are shown as follows. The copies of your files are only made during a system checkpoint or snapshot. 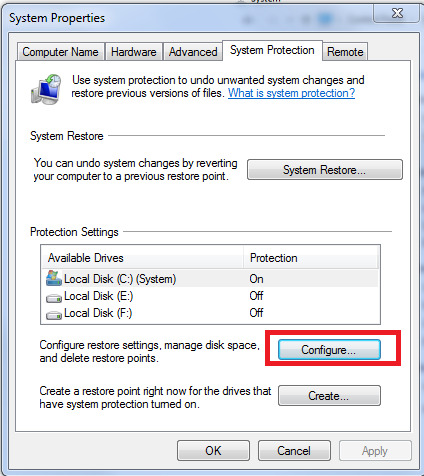 The restore points will be removed if there is no enough hard disk space. The previous versions are gone due to many unknown reasons like system crash. Now, it is the end of the guide to how to recover deleted photos in Windows 7/8/10. In this article, 3 methods to solve the issue are provided. Unlike the latter 2 methods, Recoverit Data Recovery is capable of retrieving all deleted pictures in various data loss scenarios, such as, accidental deletion, permanent deletion, emptied recycle bin, system crash and more. Free download the software to undo deleted files NOW!